This is an all original 27.5mm. 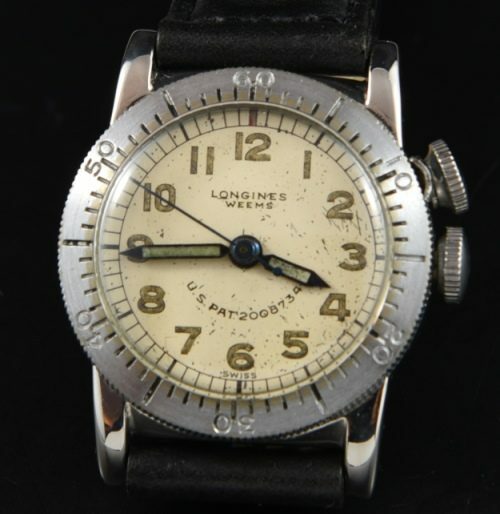 stainless steel LONGINES WEEMS vintage pilot’s watch watch issued to Air Corps pilots and crewman. 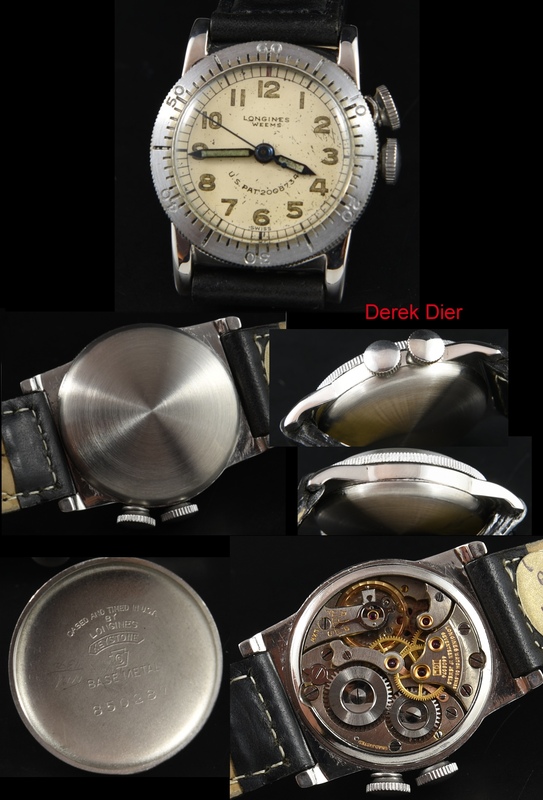 Measuring 28.5mm, with rotating bezel, this watch was a true tool in WW2. The LONGINES has a #10/68-ligne 17-jewel movement with a single adjustment which has just been cleaned and is accurately keeping time. The dial, blued steel pencil hands and turning bezel are all original and very clean. These were small and mighty watches that helped win the war.